Qosina offers a line of NRFit™ caps that are in stock and ready for immediate shipment. Part #40054 can be used to cap connections in neuraxial applications such as spinal and epidural procedures, and is compatible with other NRFit™ male and female threaded connections. 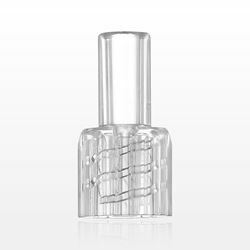 This vented female cap is clear and constructed of medical-grade acrylic. Qosina also carries a line of NRFit™ connectors and a variety of tubing options to complete your project needs. Qosina offers a line of NRFit™ connectors that are in stock and ready for immediate shipment. Qosina part #40050 can be used for connections in neuraxial applications such as spinal and epidural procedures, and is compliant with the ISO 80369-6 standard. 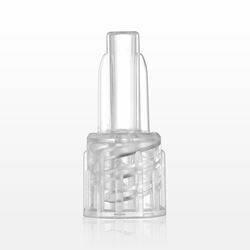 This clear female connector makes a tapered seal connection and is slightly smaller than a standard luer; therefore, it cannot be misconnected to male or female luers as specified in the ISO 594 standards. Part #40050 has ergonomic wings, which allow for ease of use. 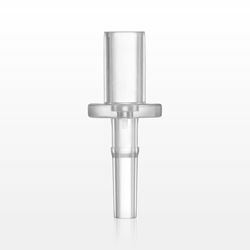 This connector fits 0.083 inch OD Tubing (2.1 mm) and is constructed of medical-grade acrylic. Qosina also offers NRFit™ caps and a variety of tubing options to complete your project needs. Qosina offers a line of NRFit™ connectors that are in stock and ready for immediate shipment. 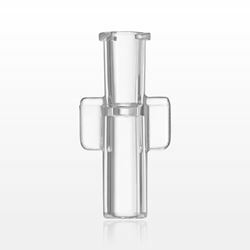 Qosina part #40051 can be used for connections in neuraxial applications such as spinal and epidural procedures, and is compliant with the ISO 80369-6 standard. 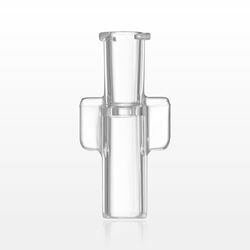 This clear female connector makes a tapered seal connection and is slightly smaller than a standard luer; therefore, it cannot be misconnected to male or female luers as specified in the ISO 594 standards. Part #40051 has ergonomic wings, which allow for ease of use. 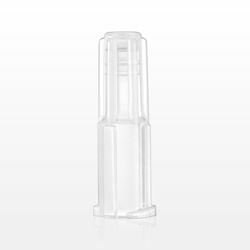 This connector fits 0.122 inch OD Tubing (3.1 mm) and is constructed of medical-grade acrylic. Qosina also offers NRFit™ caps and a variety of tubing options to complete your project needs. Qosina offers a line of NRFit™ connectors that are in stock and ready for immediate shipment. 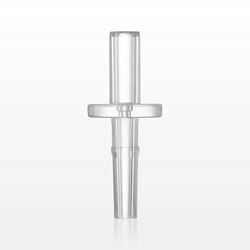 Qosina part #40053 can be used for connections in neuraxial applications such as spinal and epidural procedures, and is compliant with the ISO 80369-6 standard. 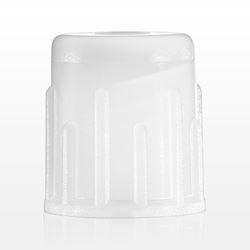 This clear male connector makes a tapered seal connection and is slightly smaller than a standard luer; therefore, it cannot be misconnected to male or female luers as specified in the ISO 594 standards. Part #40053 has an easy-to-grip hub, allowing for ease of use. 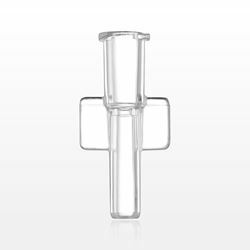 This connector fits 0.122 inch OD Tubing (3.1 mm) and is constructed of medical-grade acrylic. Qosina also offers NRFit™ caps and a variety of tubing options to complete your project needs. Qosina offers a line of NRFit™ connectors that are in stock and ready for immediate shipment. Qosina part #40052 can be used for connections in neuraxial applications such as spinal and epidural procedures, and is compliant with the ISO 80369-6 standard. 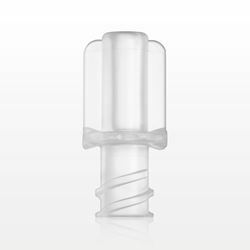 This clear male connector makes a tapered seal connection and is slightly smaller than a standard luer; therefore, it cannot be misconnected to male or female luers as specified in the ISO 594 standards. Part #40052 has an easy-to-grip hub, allowing for ease of use. 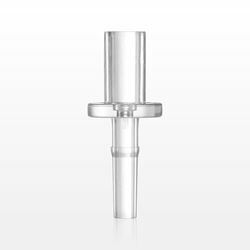 This connector fits 0.083 inch OD Tubing (2.1 mm) and is constructed of medical-grade acrylic. Qosina also offers NRFit™ caps and a variety of tubing options to complete your project needs. Qosina offers a line of NRFit™ caps that are in stock and ready for immediate shipment. Part #40055 can be used to cap connections in neuraxial applications such as spinal and epidural procedures, and is compliant with the ISO 80369-6 standard. 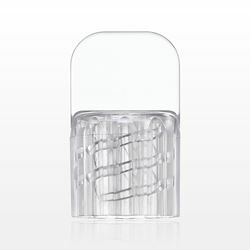 This non-vented female cap is clear and constructed of medical-grade acrylic. Qosina also carries a line of NRFit™ connectors and a variety of tubing options to complete your project needs. Qosina offers a line of NRFit™ caps that are in stock and ready for immediate shipment. Part #40056 can be used to cap connections in neuraxial applications such as spinal and epidural procedures, and is compliant with the ISO 80369-6 standard. 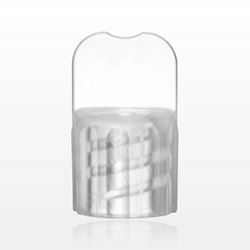 This non-vented male cap is clear and constructed of medical-grade acrylic. Qosina also carries a line of NRFit™ connectors and a variety of tubing options to complete your project needs. Qosina offers a line of NRFit™ caps that are in stock and ready for immediate shipment. Part #40057 can be used to cap connections in neuraxial applications such as spinal and epidural procedures, and is compatible with other NRFit™ male and female threaded connections. 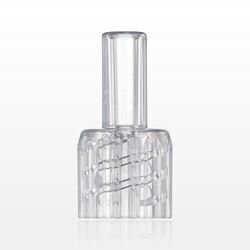 This vented male cap is clear and constructed of medical-grade acrylic. Qosina also carries a line of NRFit™ connectors and a variety of tubing options to complete your project needs.